Iranian President Hassan Rouhani said that he has 8 times rejected his US counterpart Donald Trump’s demand for talks during the 2017 trip to New York to participate in the UN General Assembly conference, stressing the need for Washington to rejoin the 2015 nuclear deal. “Today, we do not have any way but resistance. During the 2017 visit to New York, the US administration demanded 8 times for meeting with the US president and in the year 2018, 5 world leaders mediated for this meeting. I told them that conditions and time are not appropriate. 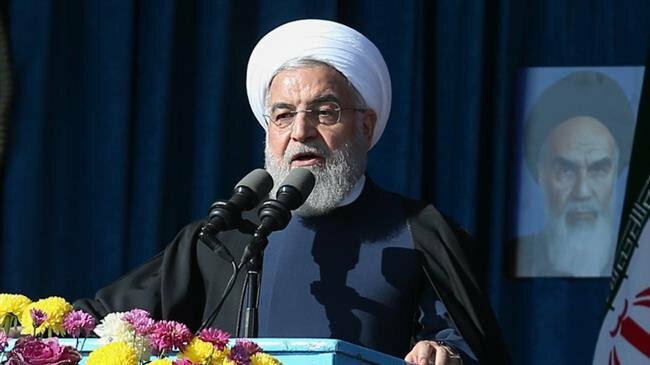 The US should first return to the nuclear deal and admit their mistake,” President Rouhani said, addressing the officials of Gilan province’s administrative council on Thursday. This has received little attention in the Western news media and the Trump administration hasn’t dwelt on these overtures. Possibly because Iran’s humiliating rejection only underlines America’s declining influence. “The US is not so much serious in the current sanctions given the waivers granted to certain countries… and it is trying to make a communication bridge to Iran,” Amir Moussavi, a former Iranian diplomat, told the Arabic-language al-Mayadeen news channel. “Based on information I have, a message was sent from Washington (via mediators) for direct talks with Mr. Rouhani. Even Mr. Trump has voiced readiness to visit Tehran,” he added. Moussavi said that Iran has rejected Trump’s demand for a visit to Tehran, adding that one of the mediators is Oman. “Two European states, two Arab countries and one Southeast Asian state are the mediators,” he said, adding that the messages had been sent from Trump and his son-in-law Jared Kushner. “Iran’s most important condition is that Trump should return to the (2015) nuclear deal from which it has withdrawn. Iran has sent this message to Washington via mediators,” he said.